Melanoma is a form of skin cancer that affects 75,000 Americans every year. 8,600 people die of the disease each year, but the number of new diagnoses is increasing dramatically. Currently, one in 50 Americans will develop melanoma at some point in their life. Because many cases go unreported, these statistics may actually underestimate the true incidence of melanoma. Melanoma is a cancer of the pigment-producing cells, known as melanocytes, in the skin. Ultra-violet radiation through sun exposure produces DNA mutations resulting in unregulated cell growth. People who live closer to the equator in sunny climates and who have a history of many or severe sunburns are at increased risk for melanoma. Other risk factors include many or irregular moles, family history of melanoma, and a suppressed immune system. Half of melanomas occur in people older than 50; however, melanoma is on the rise in people in their 20s, which may stem from the popularity of tanning beds among that age group. Prevention is important to lower melanoma risk and may include limiting sun exposure by seeking shade, particular when the sun is most intense, wearing sun-protective clothing, using sunscreen, wearing sunglasses and avoiding tanning beds. Melanoma can sometimes look like an irregular or changing mole. Melanocytes normally reside in the top layers of skin, called the epidermis, and when melanoma stays confined to this layer, it is unlikely to spread to other parts of the body. If melanoma grows into the dermis, it can more easily spread through the blood and lymph vessels, which may transport cancerous cells into other parts of the body. The thickness of melanoma, also known as the Breslow depth, is the most important characteristic of melanoma. Melanoma is most curable when it is detected and treated early. Much the way women have breast exams and mammograms to detect breast cancer, people at risk for melanoma should have periodic whole-body skin exams by a physician. In addition to your doctor’s exam, you should check your own skin on a periodic basis with a full-length mirror and a handheld mirror to view places that are hard to see. 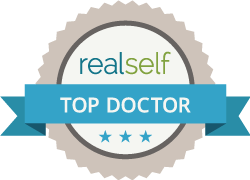 When you get to know your own skin, you will be able to help direct your physician to evaluate any areas that have changed. Identifying the difference between a normal mole and melanoma can be difficult. There are no perfect tools to determine which pigmented lesions need a biopsy, but studies have shown dermatologist to be the best at identifying early melanoma. Although the following “ABCDE” rules are not perfect, these should help you with your own skin examination. Most of the time skin lesions that break these rules are not melanoma, but a only a physician can help determine the appropriate next step. If your physician determines a biopsy is necessary, a sample of skin will be taken. Depending on the type of biopsy, you may require stitches and will be left with a scar at the biopsy site. The biopsy will be evaluated under the microscope by a dermatopathologist (a pathologist who has extra training in looking for melanoma). Your insurance coverage will direct where I send your tissue sample, but it will be evaluated by a dermatopathologist. The process of obtaining an excellent slide for evaluation takes several days and it generally takes one week to obtain the pathologist’s report. The pathology report will state whether or not cancer was present in the specimen and, if so, what type. The following information is also included for melanoma diagnoses; Size of the lesion, Breslow thickness, whether ulceration is present, mitotic rate (indicates how quickly the cells are dividing), and an estimate of whether the margins appear clear. Genetic testing of individual tumors is available and has been proven valuable because specific genetic alterations within a given melanoma can help us determine the risk of your melanoma spreading. This can often be performed at no cost to the patient and for some tumors can give valuable prognostic information. After the pathology report establishes that a suspicious area is melanoma, more surgery will likely be required, even if the margins were estimated as clear. Without question, surgical removal of the tumor and surrounding skin and soft tissue is the most important treatment for melanoma. The excision margin is the amount of normal-appearing tissue surrounding the melanoma that will also be removed to ensure complete tumor removal. The excision margin has been very closely studied and the current recommendations are directly tied to the Breslow depth. Evaluation of the margin of a surgical excision estimates the true margin of skin removed due to the method used to prepare the tissue, called “breadloafing”. In some circumstances, particularly for tumors on the head & neck, Mohs surgery is utilized to remove the tumor. Mohs (frozen sections) and Slow Mohs (wax sections) techniques offer a more robust evaluation of the margin and provides the same or better cure rates compared to excision. These techniques may also provide tissue-sparing at certain locations, such as the head and neck. The method of surgical removal should be discussed with your physician. Although melanoma detected early can be completely cured with surgery alone, some can metastasize to lymph nodes, lungs, brain, gastrointestinal tract, or liver before being identified. Melanomas that have greater risk of metastasizing may prompt special tests to determine if the cancer has spread. No specificblood tests reliably indicate whether the cancer has spread, but if the cancer has spread to the liver, an elevated blood level of lactate dehydrogenase (LDH) may result. Imaging tests, such as chest x-rays, CT scans, MRIs and PET scans can help determine whether the melanoma has spread, but are only performed if there are symptoms of disease spread. Sentinel lymph node biopsy (SLNB) uses a tracer to find the lymph node most at-risk for melanoma to spread to evaluate it to see if melanoma has spread. Patients with melanomas thicker than 1 mm (Breslow depth) with no obvious enlarged lymph nodes may be candidates for SLNB. In addition, there is some potential benefit for SLNB in patients with aggressive melanomas (mitotic rate > 0) that are greater than 0.75 mm deep. Whether or not this procedure is right for you should be determined in a discussion with your surgeon based upon your individual preferences. No survival benefit has been shown for patients who undergo SLNB compared with those who do not. If melanoma has spread past the initial site, systemic treatment should be considered including immunotherapy, which has dramatically changed survival in patients with aggressive melanomas. Traditional therapies such as traditional chemotherapy, immunotherapy, and cytokine therapy (interferon alpha or interleukin-2) are also considered. Regimens can help shrink metastases and should be discussed with a medical oncologist who has experience treating melanoma. Radiation therapy may be a part of the treatment for neurotropic or desmoplastic melanomas. For deeper or metastatic melanoma, our team coordinates care with national cancer centers as well as a regional and local team of experts including surgical oncologists and medical oncologists. Since 2011, eight new drugs have been FDA approved for the treatment of melanoma, including four immunotherapies and four targeted therapies. The immunotherapy drugs are ipilimumab (Yervoy®), pembrolizumab (Keytruda®), nivolumab (Opdivo®), and talimogene laherparepvec (T-VEC, Imlygic™). Stages 0 – I – II: Localized melanoma is typical treated with surgery as described above. Stage III: Melanoma that has spread to the regional lymph nodes, but has not spread to other organs is usually treated with surgical removal of the melanoma and a complete lymph node dissection. Other therapies may include radiation therapy or clinical trials. In-transit metastasis is also considered stage III and means additional melanoma skin lesions have occurred at least 2cm from the original melanoma, but have not spread as far as the regional lymph nodes. SLNB may be indicated to determine if occult lymphatic spread has occurred. Stage IV: Metastatic melanoma has by definition spread to other organs. When this occurs, it more commonly spreads to the skin, lungs, liver, bone and brain. Treatment decisions depend on whether the spread is isolated and approachable surgically and whether the brain is involved. Imaging such as PET & CT scans are valuable to identify locations of metastasis. Metastatic melanoma is less likely to be curable, but surgical removal of metastasis may improve the quality of life for patients. A new diagnosis of cancer is difficult. This information is provided to help you understand the diagnosis and treatment well enough to talk with your doctor about the treatment options.